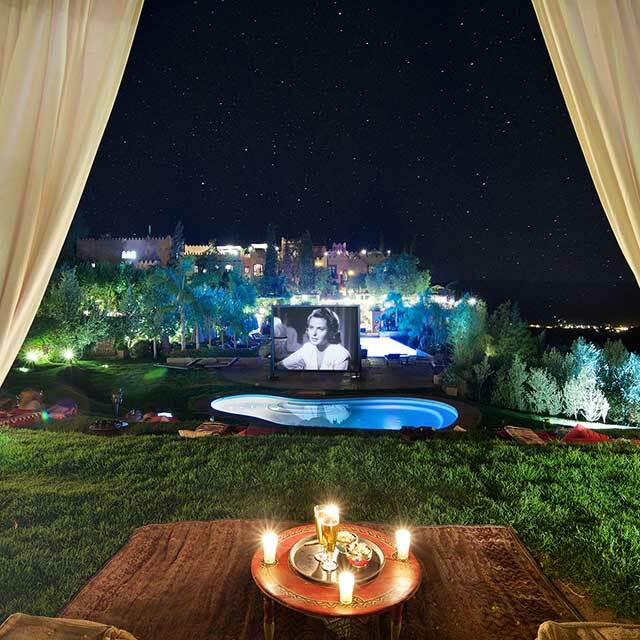 Kasbah Tamadot is Sir Richard Branson's magical retreat in Morocco's Atlas Mountains. 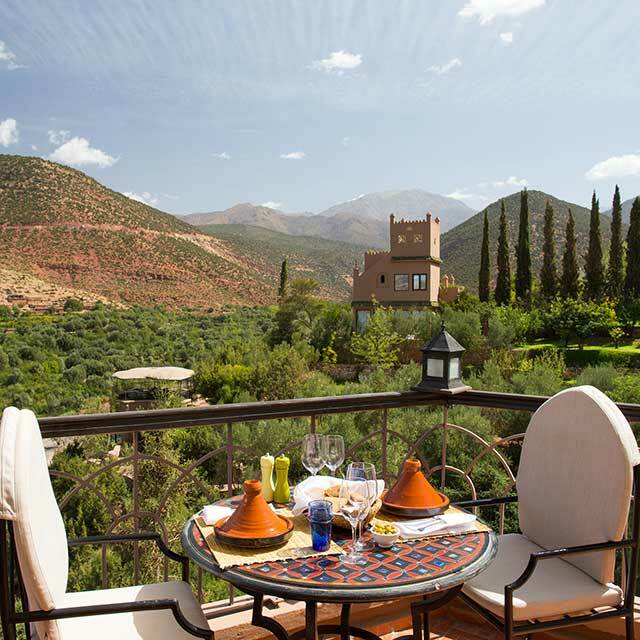 This 28 bedroom hotel is perched at the top of a valley with views up to Mount Toubkal and over to some of the traditional Berber villages that dot around the region. In fact, in the Berber language, Kasbah Tamadot means 'soft breeze'. Everywhere you look around Kasbah Tamadot you will be surprised and delighted! From the unique design of each of our bedrooms and Berber Tents, to the exceptional customer service of our local staff, be prepared for a holiday like you have never experienced before. We’re delighted to announce that thanks to your votes Kasbah Tamadot has been named Best Resort Hotel, North Africa and the Middle East in the Travel + Leisure World’s Best Awards 2017 readers’ survey! 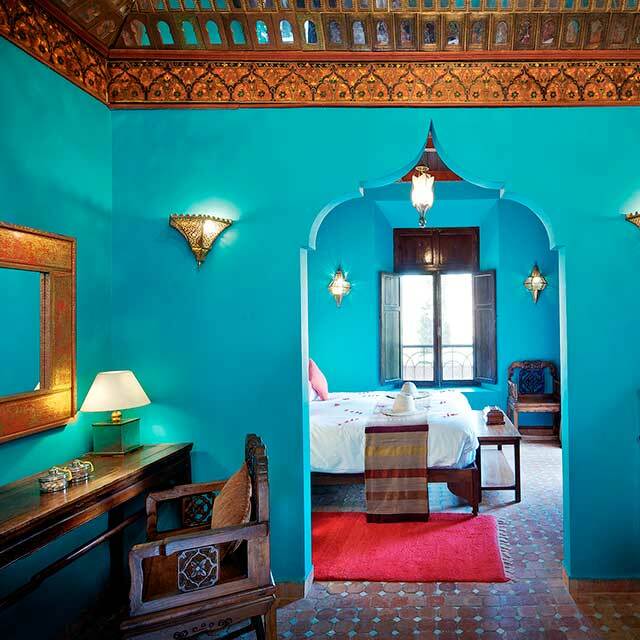 Kasbah Tamadot was the former home of Luciano Tempo, the renowned antiques dealer and interior designer. Luciano filled Kasbah Tamadot with a huge range of items – tables, sculptors and ornaments collected from India, Indonesia and North Africa. 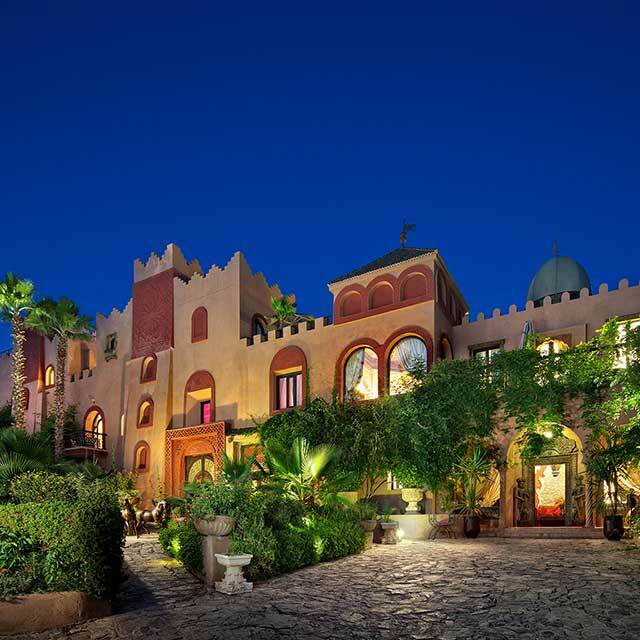 When Sir Richard Branson bought Kasbah Tamadot in 1998, he also inherited Luciano’s 1000 square metre warehouse, filled to the brim with his treasures. As you wander around you will see pieces of Luciano’s collection that have been used to furnish the Kasbah today. Sir Richard Branson discovered Kasbah Tamadot when he visited Morocco with the goal of circumnavigating the globe in a hot air balloon. It was in fact his parents Ted and Eve Branson that found the beautiful Kasbah and dreamed of turning it into a wonderful Moroccan retreat. Richard didn’t quite manage to complete his hot air balloon mission but he did purchase that magnificent Kasbah and his parents’ dream became a reality when Kasbah Tamadot opened its doors to its first hotel guests in 2005. When Sir Richard Branson purchased Kasbah Tamadot, we set up free English classes for the local population, irrespective of whether they wanted to ultimately apply for a job at the hotel. Most had never been formally employed prior to joining the team, and so in many cases we had to start from scratch. We believed that in the long term we could only benefit from focusing on the resources on our doorstep. Supporting the local community is strengthened even further through projects initiated by Kasbah Tamadot and other charitable projects such as the Eve Branson foundation and Virgin Unite. Taking care of the environment is also high on our agenda. We’re committed to sustainable development of the local tourism industry and we recognise our responsibility towards the environment and the local community. Consequently, we are continually looking to identify new methods for waste disposal, recycling and energy saving. Today we employ 140 staff together with our extended family of 6 peacocks, 2 mules, 2 donkeys, 2 camels, 6 goats, 2 ewes and 7 ducks. Today we employ over 98% local staff together and our staff retention rate is exceptionally high, and figures suggest that each individual employed at the hotel supports up to 10 other individuals in their extended family. Vincent Padioleau and Emma Savin are joint General Managers at Kasbah Tamadot, responsible for the property's day-to-day management. Vincent has a strong hotel background and has worked in locations around the globe including Senegal, Tunisia, Cuba, the Caribbean, Egypt, Germany, France and Spain. Vincent loves all things active and has a keen interest in tennis, jogging and indulges in watching his favourite football team – Real Madrid. Emma has a flair for interior design and prior to working at Kasbah Tamadot worked for a French company for 10 years as a Purchase Manager. Like Vincent, Emma is very active and loves swimming and skiing. Both of them completed the challenge to climb Mount Toubkal in 2015 and raised money for charity. Since joining in 2012 we collected around 400kgs of clothing each year for the local community. 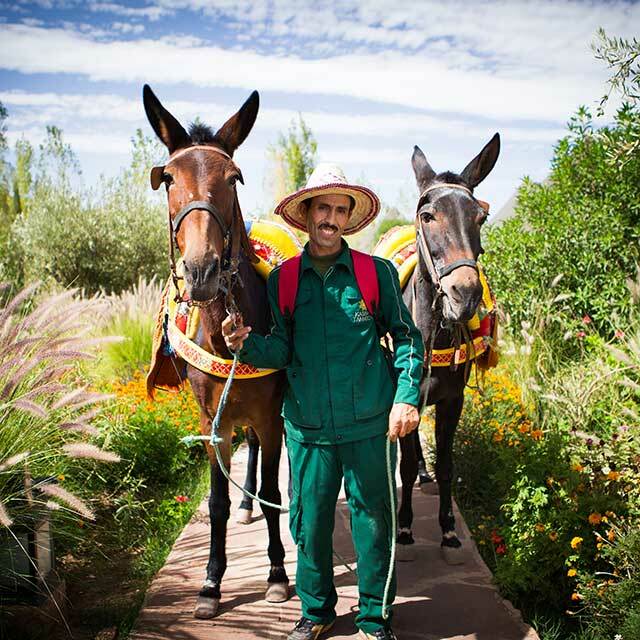 Kasbah Tamadot is open year round and only closes for a brief period in mid-January for routine maintenance. Every season has so much to offer from snow-capped mountains, warm days by the pool and walking in the foothills of the Toubkal National Park. Spring is when the region starts to warm up, the days are pleasantly warm with just a small amount of rainfall. In April the temperatures can range from 12°C up to 24°C, with the temperature dropping at night. As we enter July the heat during the day continues to increase and by August we are very much a ‘hot sun’ destination, but a pleasant 10°C cooler than the high temperatures in Marrakech. In the autumn months the evenings start to cool and the days become a little less intense heat-wise. Towards the end of September the snow on the tops of the Atlas Mountains starts to return. December, January and February is the coolest time of year to visit, so get cosy in the library or Asmoun Lounge in front of the fire with a good book and a warm drink. With the average temperature at 13°C and the sun still shining, our heated pools are comfortable at 28°C, so a midday swim is still the norm! The atmosphere at Kasbah Tamadot is relaxed and informal, so you can simply pack your suitcase for the season and the types of activities you plan on doing during your stay. Around the pool area, guests are welcome to wear shorts, t-shirts and swimwear. If you wish to go walking, don’t forget to pack a good pair of trainers (sneakers), sunhat and sunglasses. When visiting areas outside our hotel it is helpful to be mindful of local customs. Morocco is a liberal Muslim country and locals are used to seeing tourists and are known for their welcoming and friendly attitude toward visitors to their country. We would recommend that women avoid revealing attire if they wish to observe local custom. In the evening, you may choose to wear ‘smart-casual’ attire to dinner. A jacket and tie are never necessary in the restaurant, but feel free to dress up if you wish!